After collecting and parsing the logs from various sources, log analysis tools are used to analyze the vast amount of data in order to find the root cause of the issue. While most log analyzers rely on the users’ expertise and knowledge to find the most relevant log entries, XpoLog offers advanced AI technologies that assist the user in the analysis process, dramatically reducing the time-to-resolution. Xpolog’s Augmented Search is a part of our log analysis tool that amplifies the “human search process” by layering “machine intelligence” on top of the search results. Each search query is complemented by insights on events that occurred within the same timeframe. These insights provide additional context to the search query and allow further investigation with a single click! Download Free – You’ll Love it! rectangles of different sizes and colors are displayed across the timeline representing the number of important insights that were found and their severity. This information can be used to focus the attention on a specific time frame and quickly narrow the search query or sometimes, based on this information, generate a completely new query. By clicking on one of the rectangles it is possible to see the number of occurrences for each insight, grouped by their severity level. based on the generated insights, XpoLog suggests relevant terms that can be used to expand or narrow the search. with a single click, it is possible to group the results based on common fields, such user, server IP, action type and more. The grouping includes data on the number of occurrences for each group and a graph that visualizes their distribution. quickly narrow results using smart filtering, based on folders, app tags, servers, and more. 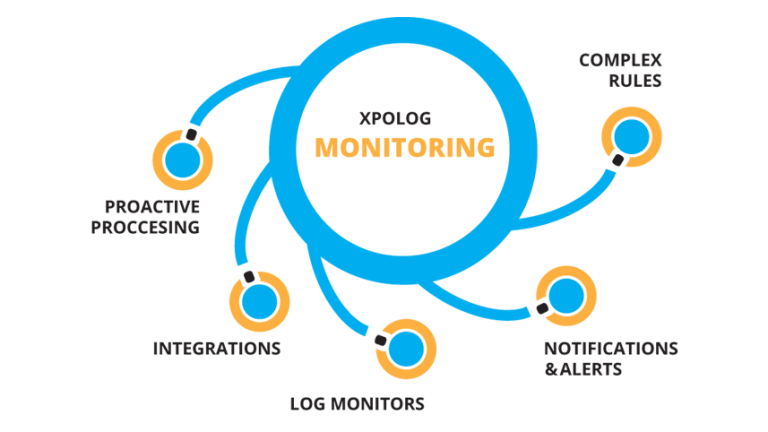 To proactively address issues before they can have an impact, XpoLog offers the ability to set up a variety of log monitoring tools. 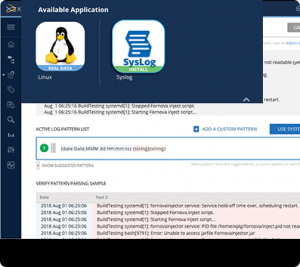 These tools allow 24/7 monitoring of application logs, event logs, service logs, access logs, and system logs of any IT infrastructure and applications. 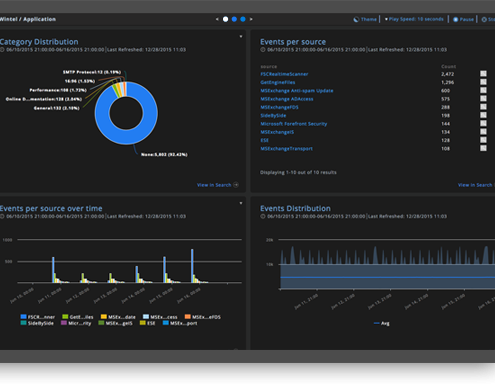 Simple search log monitor – any simple search can be saved as a monitor. Every time a log entry matches the search query an alert will be generated. Complex search log monitor – complex searches can include more sophisticated conditions based on mathematical operators and timing. For example, if a certain type of event appears over five times within a certain time frame, an alert will be triggered. Machine learning log monitor – based on XpoLog’s analytics is possible to set up a monitor for specific types of insights. For example, insights that are defined as critical. The alerts can be sent via Email, SNMP trap, JMS message, Script, and more. The detailed alert message can include the matching log events. Built-in Reports from Ready-to-Use Apps – Xpolog offers a wide variety of ready-to-use dashboards and reports on systems, security, IT and application data. The dashboards can be used to generate dynamic reports on the detected errors. XpoLog Analytics – The Analytics module automatically scans all logs for errors, risks, statistical problems, and predefined rules. Based on this analysis, reports are generated on the detected errors, which map problems over time, and tags them according to their severity. From the Problems Analysis dashboard provides centralized access to all the analysis reports. These reports have easy navigation and zoom-in capabilities, so you can easily find the relevant log data which will help you accelerate problem-isolation. Search Queries – search queries of all types (simple, complex, etc.) can be saved as gadgets, which automatically generate reports. XpoLog integrates with all logs and scan – parse – aggregate – read – analyzes & report your logs in real time and presents your Problem Map Dashboard: use cases, exceptions, usage, profiling, error codes, number of events in logs, and log problem per server. XpoLog server log analysis platform serves Admins and operations teams which need fast identification of errors, system trends and anomalies. 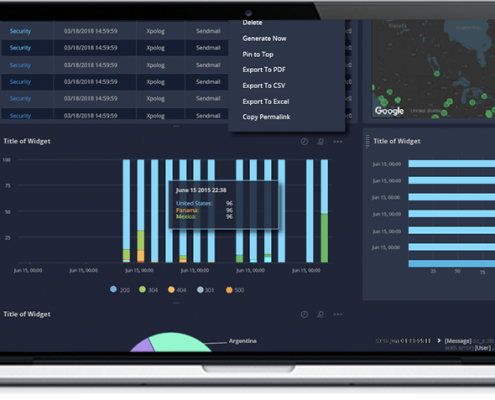 XpoLog provides full insights on all logs with advanced visualization tools and automatic analysis that correlates your unique identifiers across servers like IP addresses, log events, exceptions, faults, performance data, information on users and much more. XpoLog In-Depth Analytics: profiles each log event for errors, trends, etc.